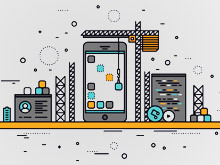 Today, with the ever increasing popularity of smartphones, mobile apps are fast emerging as tiny, self-contained platforms for collaborating, sharing, networking, shopping and internet browsing. 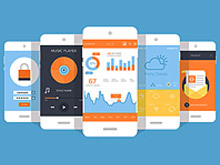 At the same time, with an abundance of new features and growing technologies being incorporated within an app, it is imperative that the mobile app design is not only user intuitive, but also complements the app's usability. We at Outsource2india have made a name for ourselves in mobile development, and understand the importance of mobile user interface design and the role it plays in furthering an applications' popularity. Our in-app mobile UI designs not only complement the operating systems' design language, but also push the boundaries for innovative design concepts, intuitive gestures, and the latest trends in gorgeous simplicity. Before an app is developed from the ground up, it is necessary to know what elements are required to be placed on which part of the screen. A great app not only needs to be super-intuitive, but should allow the user to flow from one panel to another without any pauses. 80% of the users just use 20% of an app's functionality, and therefore we ensure that we lay-out your core feature set in a way which makes the best use of this measly 20%. We also strongly believe in following an operating system's UX philosophy while designing our apps. Apple, Google, Microsoft, and many other giants have spent billions of dollars on researching about the best possible UX that fit's their design philosophy. We ensure that our apps always complement the OS UX, and our work transcends simple wireframes by providing you with detailed UX blueprints, thereby leading to better consumer adoption, enhanced satisfaction, and better engagement rates. Once the client approves the UX wireframes and blueprints, we design the in-app UI. Unlike first-time developers, we invest in quality graphic designers from the get-go, since we know that the key to better user engagement lies within the app UI. Our exceptional mobile UI designs also help reduce future support costs, simplify the process of delivering future updates, and more importantly, entices new users to discover the app's functionality. 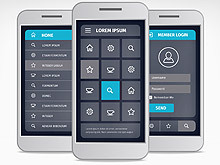 We develop high-quality mobile app UI designs for iOS, Android, Windows, etc. Our specialty lies in delivering that extra life to the Zas-apps, as compared to most other apps out there. We fine-tune designs till we are satisfied with the polished final product. We perfect in-app animations and screen transitions, and add small little touches which ensure your app always stands out from the rest. Our diverse skill set and experience in working with clients pertaining to diverse industry verticals allow us to customize our services to match your exact requirements. Read more about our Mobile Website Design Services. Learn more about our mobile app development process and how it can help you maximize operational benefits. 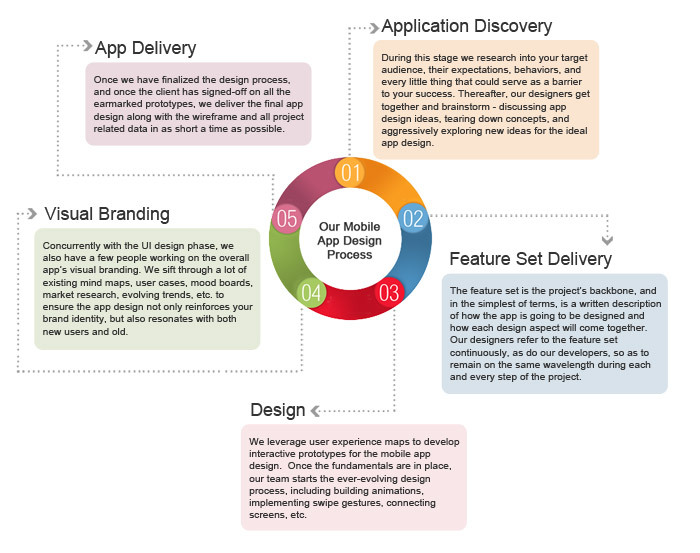 Why Choose Outsource2india for Mobile App UX Design Services? Read the case study to know how O2I Created a Task Management App to Promote Productivity for an Australian Client. At Outsource2india, our mobile app development team has defined, conceptualized, visualized, and developed elegant and innovative apps for more than 500 clients. Our mobile app designs entice users to go beyond their first glance and explore the applications' full-suite of functionality on their own. If you share our vision towards mobile UI design, get in touch right now se we can take the talks further!